We have used Day's Concrete for three separate projects and are delighted with the results. Each project was unique (island countertop, outdoor shower/stairs, wood stove platform) and Mike worked with us through the design of each, ensuring the final product would be what we wanted. The entire Days Concrete team is professional and efficient, getting the job done on schedule and leaving the work area spotless afterwards. 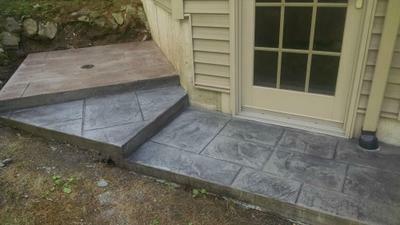 I would not recommend anyone else for custom concrete work. We did not know what was posible using concrete and Mike and team helped design and build products that significantly enhance our home. Thanks Jim, it was a pleasure working for you and Robyn! Join in and write your own page! It's easy to do. How? 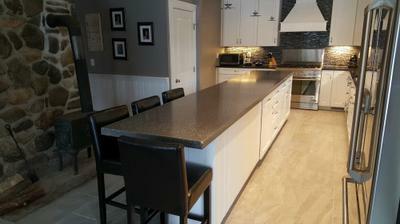 Simply click here to return to Reviews for Day's Concrete Floors, Inc.